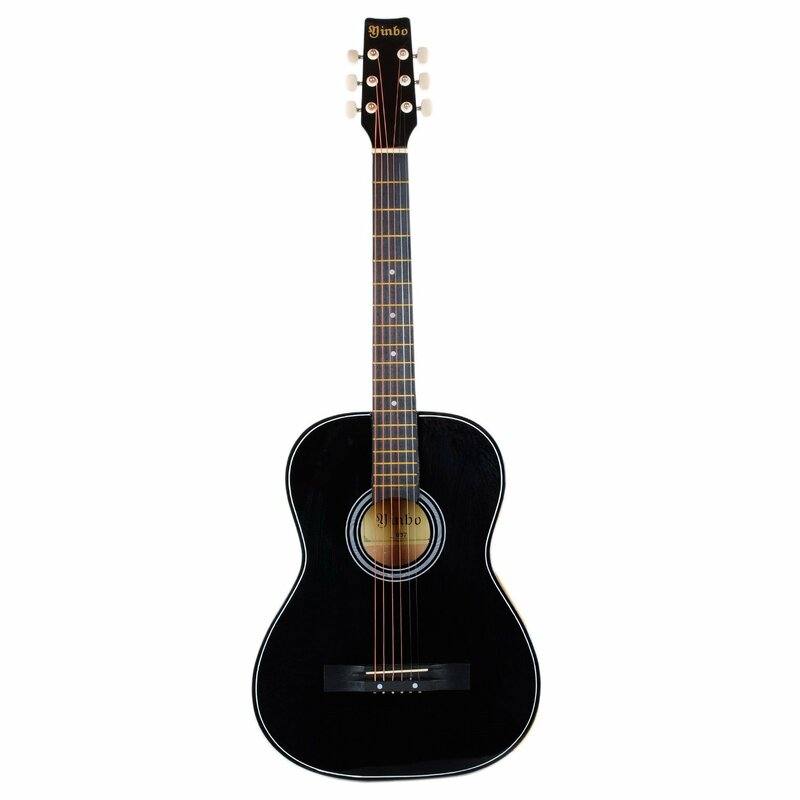 The HST acoustic guitar is perfect for the musicians who are making their first steps in the world of music. 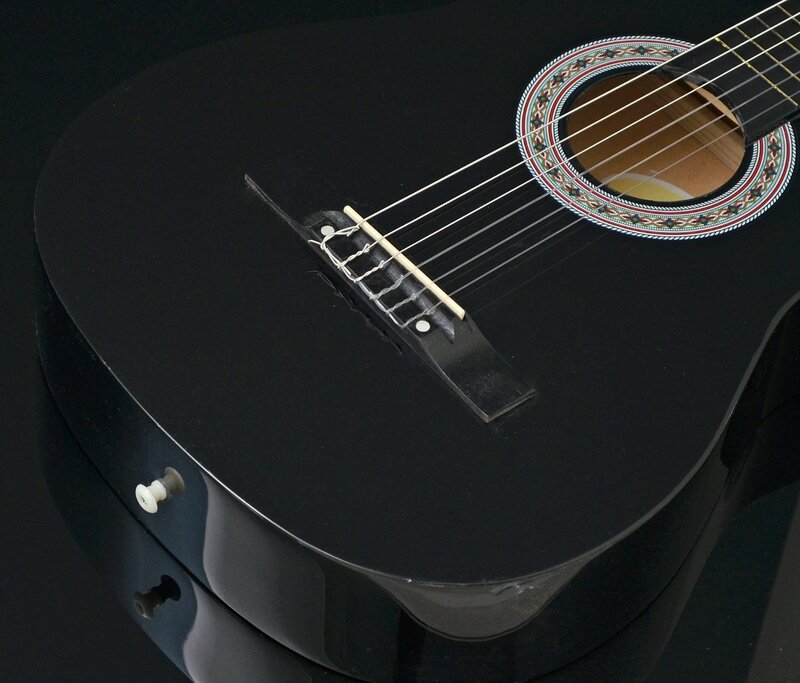 This acoustic guitar comes in size ¾ and is black in color. The classic look of this guitar comes from the basswood that is used for the sides, back and the top of the guitar but pay attention that the basswood for the sides and the back is laminated, giving the guitar that extra strength. The bridge and the fingerboard are made of rosewood and the tuning pegs are chromed and extremely easy to use for tuning the guitar. If you are a novice and you like playing the guitar, then this HST acoustic concert classic guitar is a must have for you. Its classic shape gives extra comfort to the player when practicing or performing. You will achieve the rock star look straight away with this masterpiece. In our opinion, this HST acoustic guitar is everything a beginner can wish for. It is lightweight and easy to hold due to its sleek body contours but at the same time made of quality materials so it lasts a long time. The strings it comes with are perfect for beginners as they are easy on the fingers. 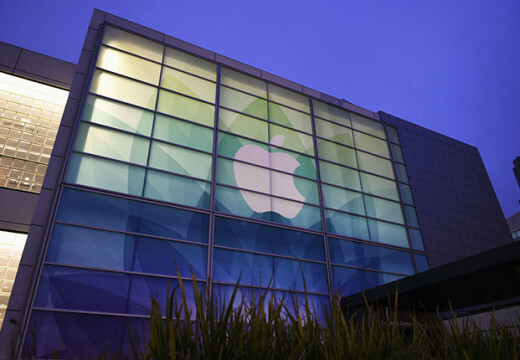 The tuning is extremely easy giving the player the freedom to quickly manage their tunes and always stay in tune. 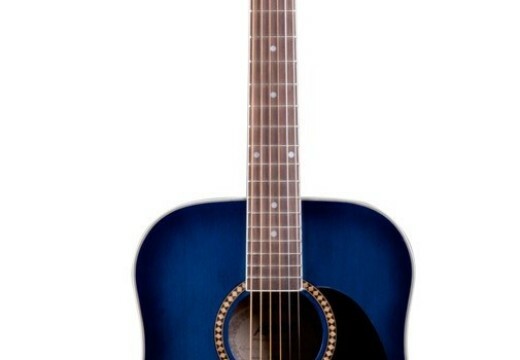 The price this guitar is sold for is extremely affordable which makes it a great present for any special occasion. Every player who is now making their first steps would love to own this piece as it is so good. 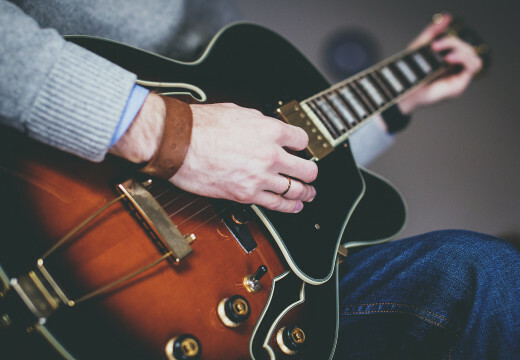 The guitar looks professional and plays professional even though it is not recommended for intermediate or professional players – just for beginners. We highly recommend it to all novice players.